Ross & Cromarty Roots | Tarbat Burial Ground, Portmahomack. 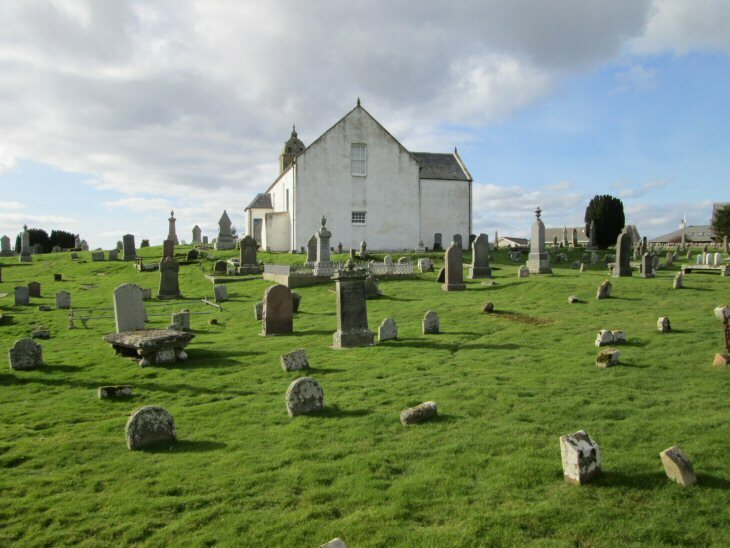 A Pictish church and cemetery of an 8thC Pictish monastery have been unearthed near the former Tarbat parish church, which sits just above the seaside village of Portmahomack, near the end the the Fearn Peninsula. The church building is now occupied by the Tarbat Discovery Centre, a Pictish and Local Heritage Museum. A modern cemetery layout has extended the burial ground towards the golf course. Picture Added on 10 March 2014. I am wondering if there are any MacStevens buried here. Looking for Alexander MacSteven, born around 1800. Added by Amy Kramer on 18 July 2016.